Chachamon Smart (“Lex” or “Cher”) is an independent consultant in marketing communications management with a focus on holistic IMC, digital marketing and social media content development. In the past, she worked as Division Manager of Marketing and Communications at Digital Government Agency (DGA) and Senior Project Manager of Digital Content Management at the Office of Knowledge Management & Development (OKMD). At these Government Organizations under the Office of the Prime Minister of Thailand, she led Creative Economy TV program and the video platform www.okmd.tv. To share her extensive expertise in digital marketing, public relations and knowledge management, Lex also works part-time as a university lecturer at various universities in Thailand. Lex holds a Master in Management (Major in Marketing) from the College of Management, Mahidol University, and currently considers to further her education by pursuing a Ph.D. Since 2017, Lex has also supported Thinkergy with her expertise by crewing at innovation workshops and working on internal marketing projects. 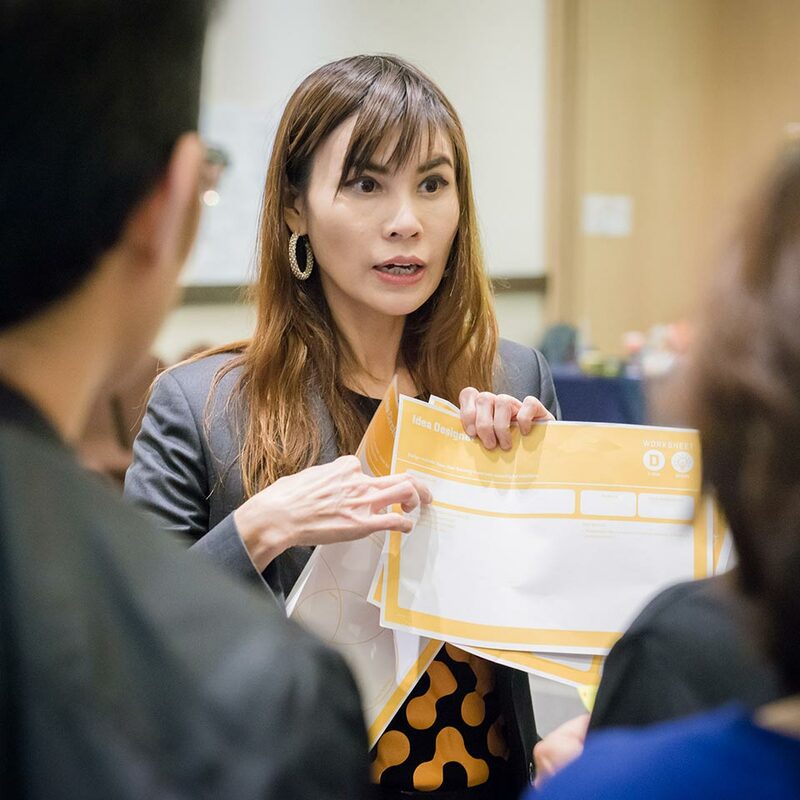 Something that may surprise you about Lex is that she also a columnist and author in her book publications “Competencies and Digital Marketing Skills Needs for Public Relations in Thailand” and “Creative Economy Inspiration” by Narongchai Akrasanee, Ph.D.